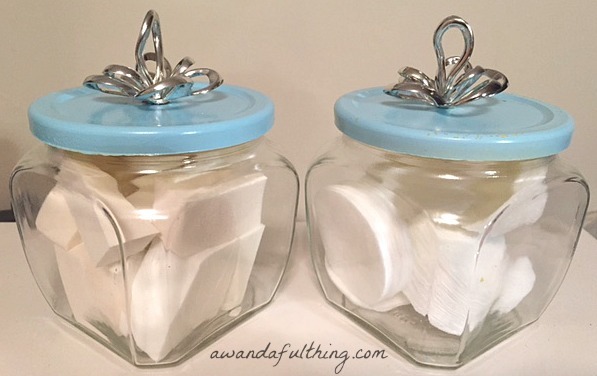 ← September Craft Challenge – how to make a soap dispenser from a mason jar. 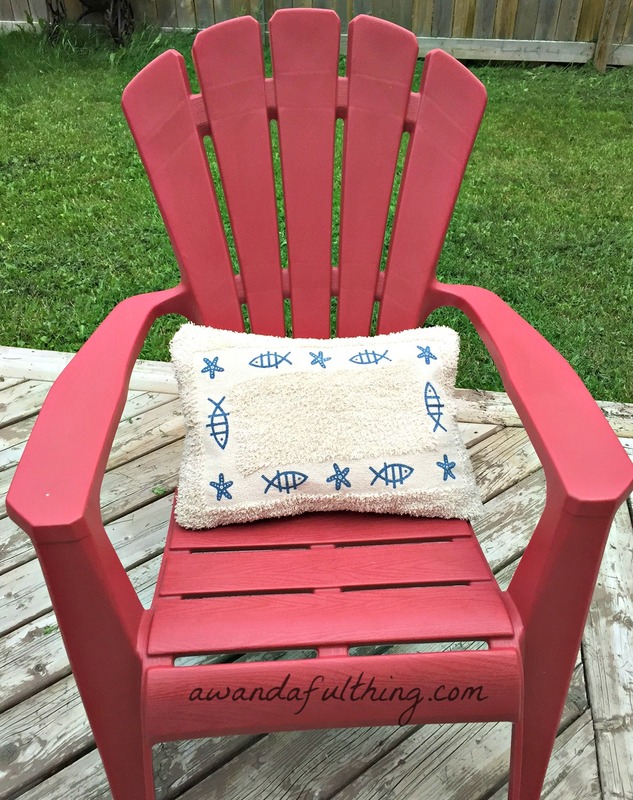 October Craft Challenge – recycling or re-purposing any type of used container. 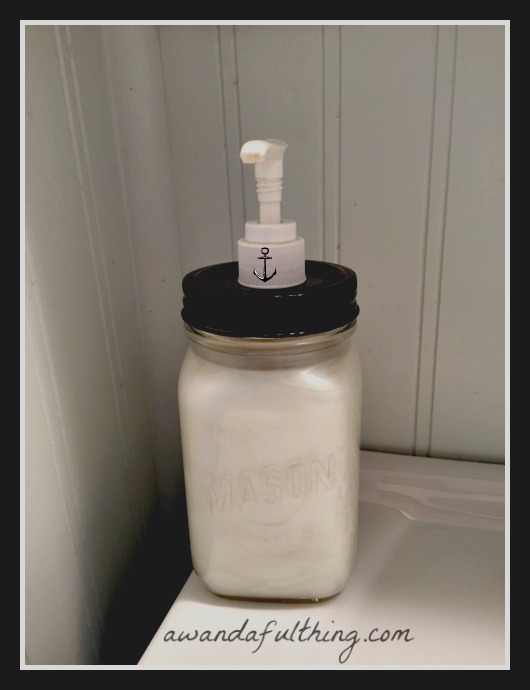 Last month was our mason jar challenge and the picture to the left shows the mason jar I turned into a soap dispenser. This month the challenge was to recycle or re-purpose using any type of used container. 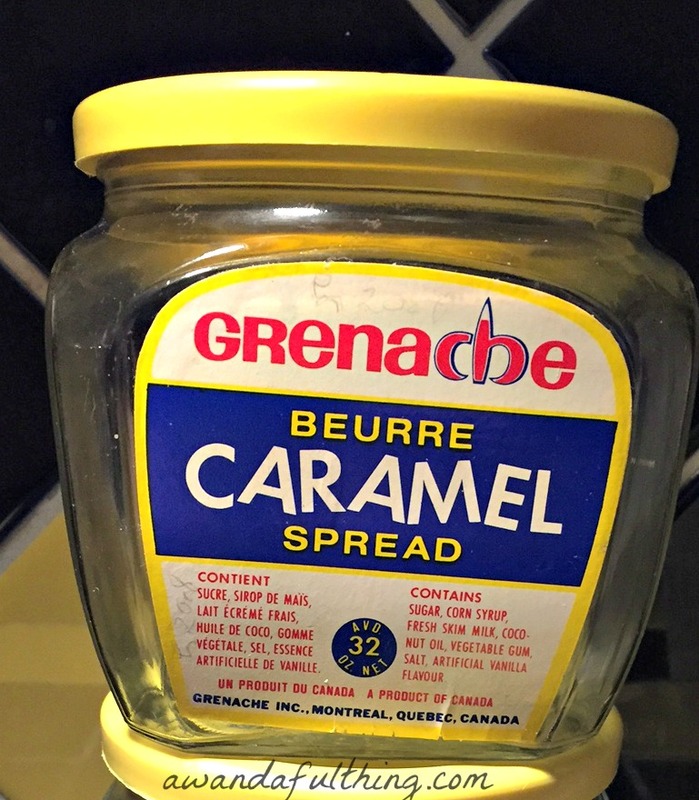 I chose to re-purpose two vintage glass Grenache Caramel containers, which I found in a box that I purchased at an auction. I thought about selling them on my vintage site Wandaful Things, Trinkets and Treasures but I decided to use them in my bathroom to store makeup sponges and cotton pads. The transformation was pretty simple, I removed the labels, spray painted the lids and added a decorative top as a knob and that was it. Since the lids on these jars are plastic, I thought a glass knob would be too heavy so I started looking for something light weight (plastic), I found Christmas ornaments at my local Dollarma and immediately knew I wanted to use the tops for my jars. I think they were a perfect choice, don’t you? Amelia (you can always start now) used a milk carton and a cereal box . 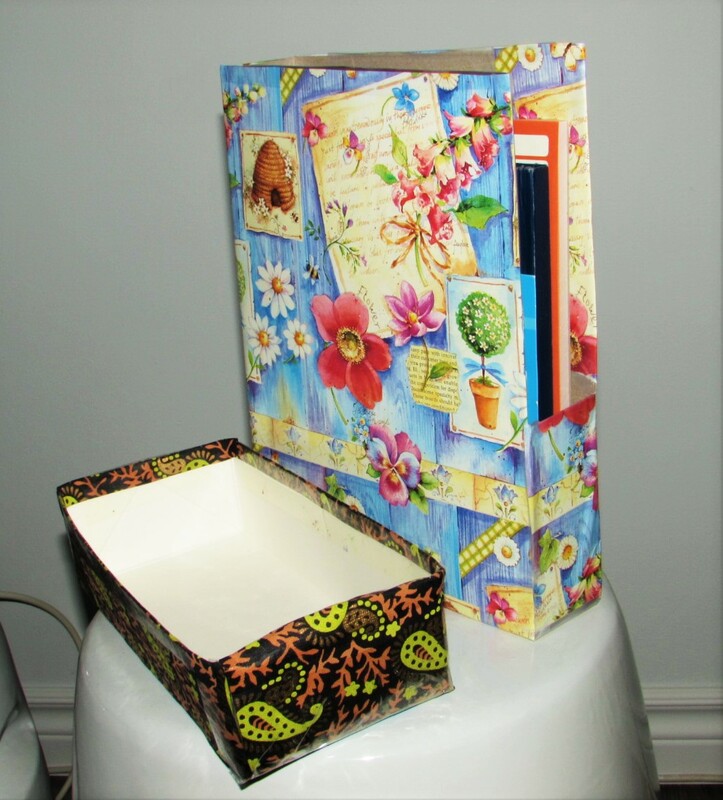 She made herself a magazine holder for her office by covering the cereal box with wrapping paper She needed a kitchen drawer divider to help corral smaller items and decided to cover the cut down milk carton with heavy craft paper. EASY, SIMPLE AND USEFUL! Be sure to Mark Your Calendar for November as we will be creating a wreath or something to hang on the front door for Christmas. 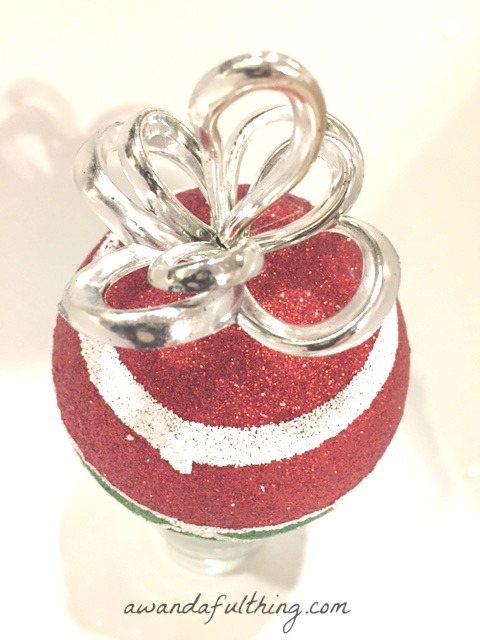 This entry was posted in Decorate, DIY, Make and tagged Blog, challenge, cheap, Christmas, cookies, Crafts, Decorate, DIY, easy, fast, free, friend, ideas, knob, recycle, simple, Spray paint, tin. Bookmark the permalink.